You’ll complain, order and you might even have to bribe them to sleep. 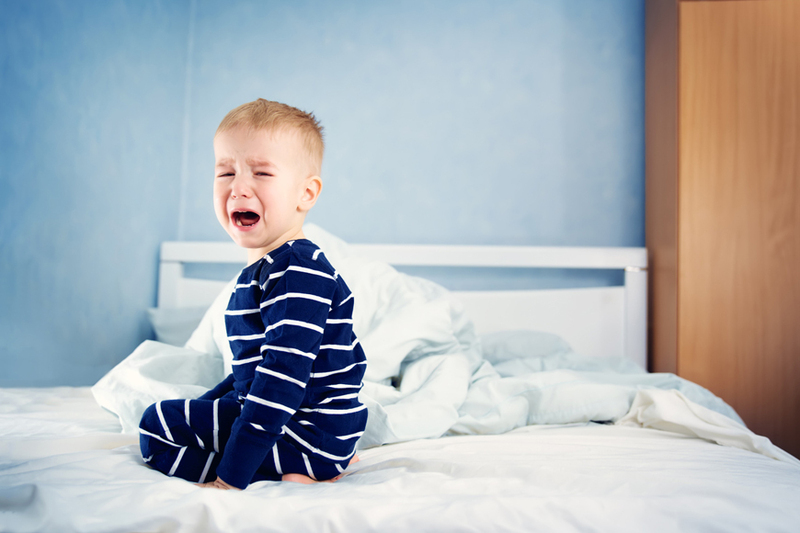 If you’re a sleep-deprived parent of a 1-year-old who’s desperately waiting for the toddler days then here’s a future news flash: Contrary to what you think, toddlers don’t take well to bedtime instructions. Kids, at this age, have a newfound imagination that can create monsters in the closet and super heroes in real life. You’ll complain, order and you might even have to bribe them to sleep. But before you do all that – find out why your tot is not willing to go to bed on his own. His body must be tired but his mind isn’t. And as a parent, it’s your job to find out why. Here are some possible explanations and their fixes. With their imaginations playing non-stop games in their minds and every day new interactions, your tot may experience night terrors and things that come with it. They may be scared of the dark or see monsters lurking in the closet. Rule #1 is to NEVER make fun or ignore their pleas. This will only aggravate their fear and cause insomnia. The right thing to do is to offer them reasonable explanations, set the room with their help and offer them comfort by placing their favourite toys while they go to bed. Separation anxiety peaks around 18 months, but it can appear off and on until your child is 5 or 6 so yes, you have a long way to go. But look at the bright side – it usually means your tot is developing attachment and growing in a loving environment. Every parent has their own way of dealing with separation anxiety. Some go for co-sleeping while others try the crying-it-out method and sleep training. The best thing to do is to comfort and cuddle them but don’t linger too much as they’ll grow used to of it. Let’s face it – things have been crazy around here. You’ve got too much on your plate and you might have been a tad bit lazy in following a bedtime routine with your toddler. And they aren’t helping either. They keep stalling, asking for more reading time and cuddling and well – it’s hard to say no. While it’s totally OK to indulge once in a while. If you give in every time they stall, they'll push more, which will result in even more frequent bedtime battling.